Are you frustrated with areas of fat around your waist, thighs or hips that just won’t go away with diet and exercise? Take the first step to reshaping your look with Smartlipo Triplex. Smartlipo allows you to remove the fat you don’t want with minimal downtime and less pain than traditional liposuction. Smartlipo delivers energy underneath the skin, so not only do you melt fat, but also tighten skin1 to achieve the shape you desire. For most people, results are achieved in just one treatment. Results can be seen within a week, with continued improvement over 3–6 months. Treatment plans can be adjusted to fit everyone’s lifestyle – call our office to discuss more about desired downtime, comfort, and results. Smartlipo Triplex is a very precise and individualized treatment. Without an in-person consultation and a complete evaluation of the areas to be treated, it is inappropriate to attempt to provide an accurate estimate over the phone. The physician really needs to see the prospective patient first to provide an accurate quote. The best candidates for Smartlipo are women and men who are not significantly overweight but have accumulated fat deposits such as love handles, flabby upper arms, excess neck or facial fat, or fat on the lower torso. 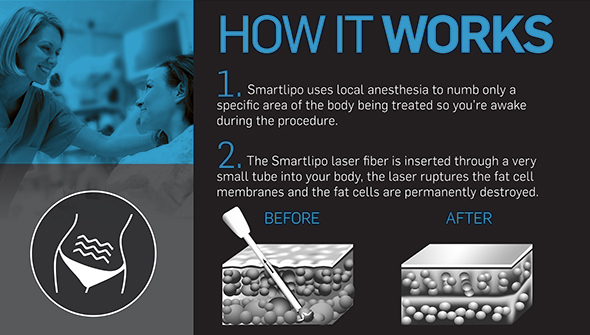 A consultation with a Smartlipo physician can provide you with the best information. The incision site will be very small. With proper care, any scars will be barely noticeable. 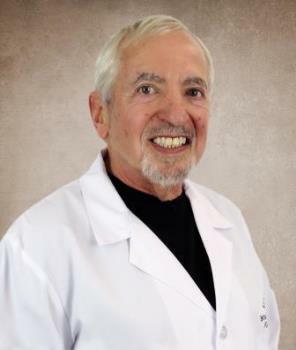 Your physician is best to evaluate your skin type and provide you information.